A custom-tailored suit. Nothing screams “class”, “luxury” and “style” more than this masterpiece of clothing. Yeah, we’re probably a bit biased about this, out of our love to suits and custom-tailored garments in general, but hey, what’s not to love in a suit, eh? 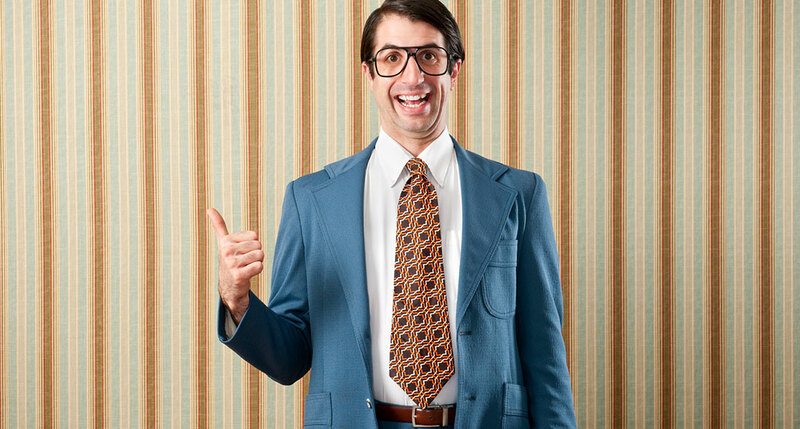 A suit literally screams “quality, quality, here comes quality – quality coming through, make way”. Quality can come with a heavy price-tag, but not as much at Damanino than many other bespoke tailors out there. Nonetheless, you’d want your suit to last as long as possible, so your investment really pays off before purchasing a replacement. Custom-tailored suits are handmade after all, they guarantee a perfect fit, top quality and durability, so it can actually last many years – if you’re taking good care of it. 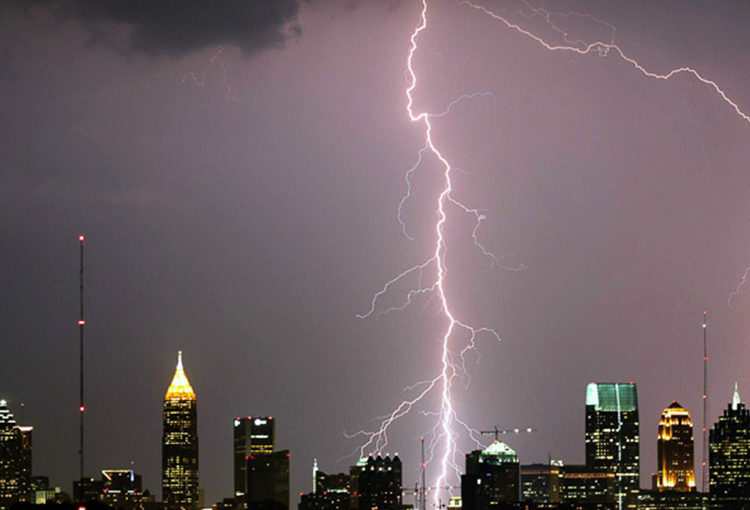 Take these 5 aftercare disasters to mind, disasters that you should avoid under all circumstances. 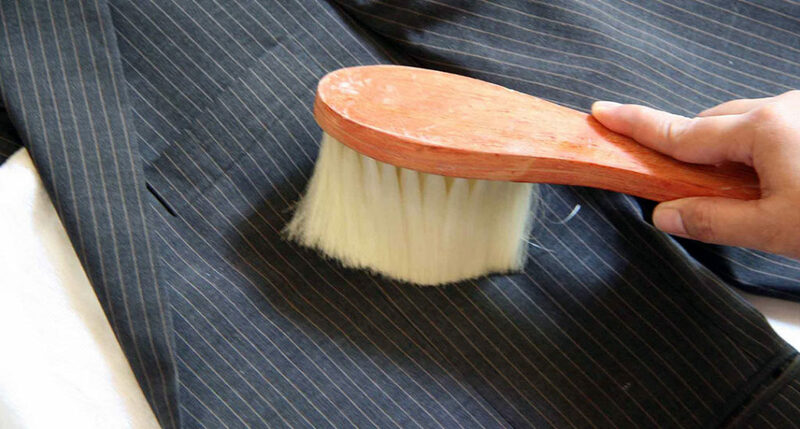 Don’t allow your beautiful suit to look cheap and worn down in no time. Don’t let that happen to you. What do you do with your made-to-measure suit when it’s not draped elegantly over your shoulders? We tell you what not to do. You certainly don’t throw it over the back of the bedpost, hang it on a coat hook or drape it over the back of a chair. No you don’t. 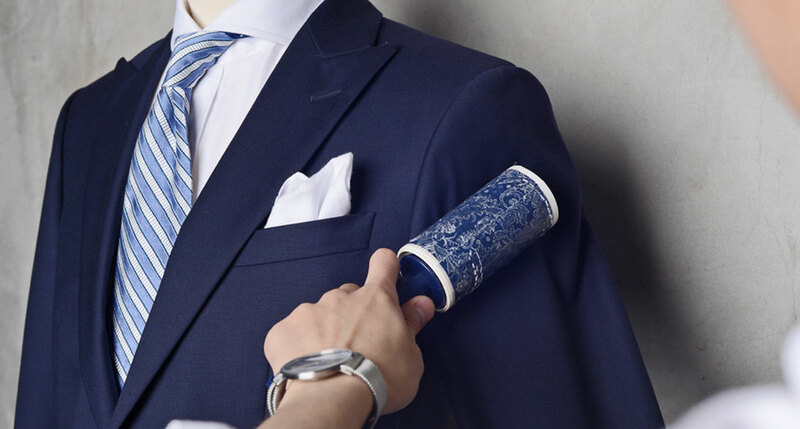 Prevention is better than cure when it comes to your new suit, so you must strive to keep it as clean and crease-free as possible at all times. You need to hang it up in your wardrobe, full-length in its storage bag. Right where it belongs, when it is not complimenting your body. Don’t just use any old hanger, either – pick one broad enough to provide support through the shoulders without any bumps or protrusions that could distend the delicate fabric. It would be impossible to prevent your custom-tailored suit from becoming creased at some stage throughout its lifetime, however, so inevitably, there will come a time when you need to do something about those unsightly lines, wrinkles and creases. Wait just one second before you reach for the ironing board, however! Ever see those suits with shiny patches on the trousers and along the seams of the jacket? Ironing a suit at the wrong temperature can cause the delicate fibers to melt or burn, ruining the finish of the suit. 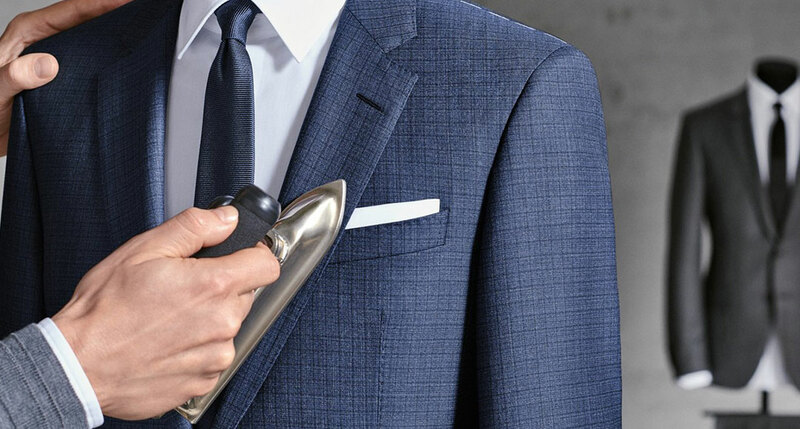 Before you press your suit, be sure to set your iron to the appropriate temperature for the material and iron the suit with a damp tea towel underneath to remove the heat from the fabric and reduce creasing as far as possible. OK, so poor accessorizing won’t destroy a suit in the same way that these other aftercare no-no’s can, but it will ruin the appearance of your luxury purchase just as effectively! 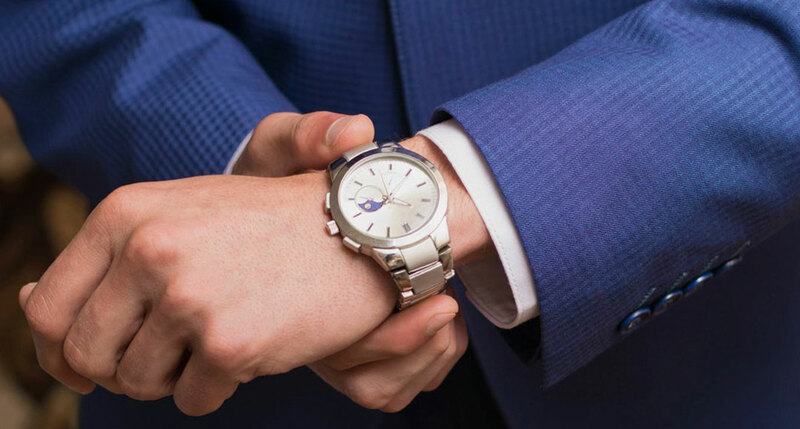 A gaudy watch, excessively loud tie or poor-quality pair of shoes will detract from the subtlety and elegance of your bespoke suit, so you need to select your accessories with care. Otherwise, that’s an expensive investment effectively wasted! Over the course of the average day it’s only natural to expect your bespoke suit to become a little dirty. 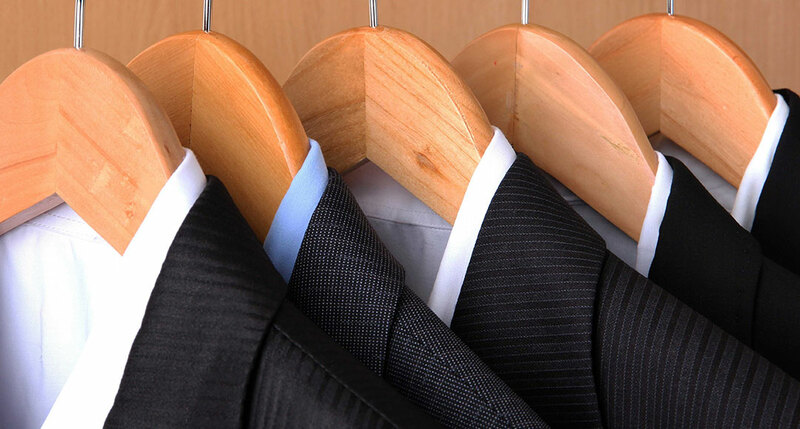 It’s a common misconception, however, that a dirty suit must be dry-cleaned every time. The dry cleaning process uses harsh chemicals that can damage the delicate natural fibers of a suit, so instead of dry cleaning your garments all the time you should look to gently brush the day’s dirt away and occasionally steam clean your suit when required. It goes without saying that failing to clean your suit often enough will leave you looking scruffy rather than suave, so an appropriate balance must be struck! Of course, it can be tempting to wear your bespoke suit as often as possible – after all, not all of your garments are as well-made or stylish as this one! The thing is, you don’t want to become known as ‘that guy who always wears a suit’ and, at the same time, you don’t want to ruin your favourite outfit through excessive wear. Daily wear and tear will inevitably wear out even the best-made bespoke suit, so if you really do have cause to wear a made-to-measure suit every day, make sure there’s more than one in your wardrobe! 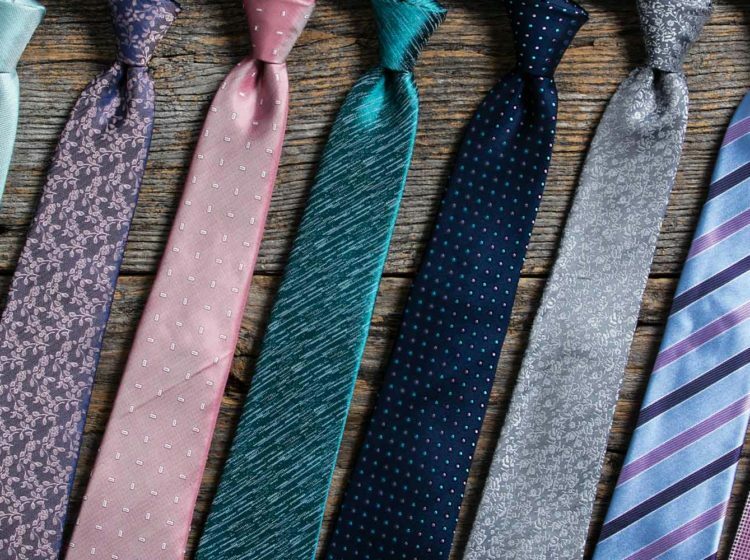 By avoiding these five aftercare no-no’s, you can be sure to keep your bespoke suit looking its best for years. For more advice on aftercare, styling tips and other articles from Damanino, keep an eye on our blog, or take a look at our bespoke service to have a beautiful new garment made to your exact specifications!